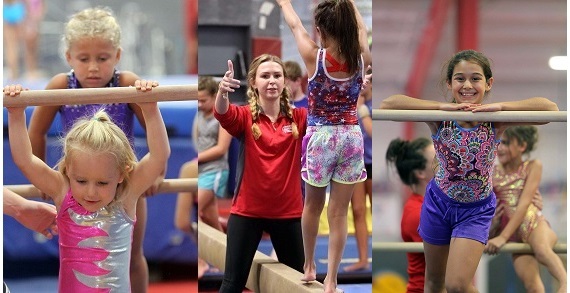 Buckeye Gymnastics: Building Happy Healthy Confident Kids. Register for Camp Buckeye! Come join the fun! Sign up NOW! 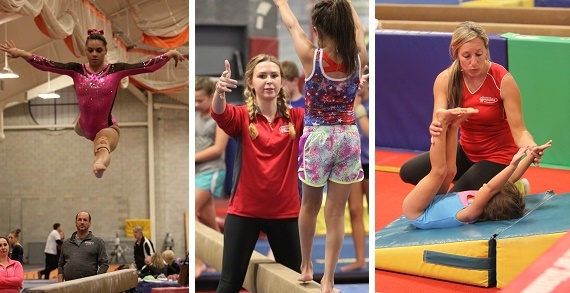 All of Buckeye Gymnastics' camps have great instructors, small groups, snacks, games crafts and of course, lots of great gymnastics. The kids also have the opportunity to participate on the trampoline, play in the loose foam pit, climb the cargo net and to cool off on water day. 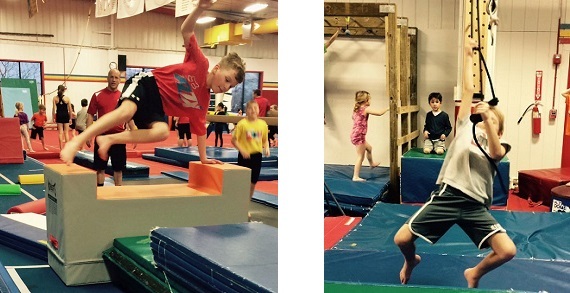 All of the gymnastics and all of the activities are built around a fun theme. Some of the most popular themes in recent year include Wipe Out Camp, Cirque du Soleil, Frozen, Super Heroes and many more. Your kids will have an absolutely fantastic week of fun! Camp is designed for children ages 4 (potty trained) and older. Camps are 9:00 a.m. to 12:00 p.m. or 1:00 p.m. to 4:00 p.m. Monday through Friday and are offered at both gyms. Gymnastics is the absolute best activity for developing physical abilities such as speed, power, strength, flexibility and balance. Gymnastics gets children ready for all sports and lays the foundation for a healthy and active life. 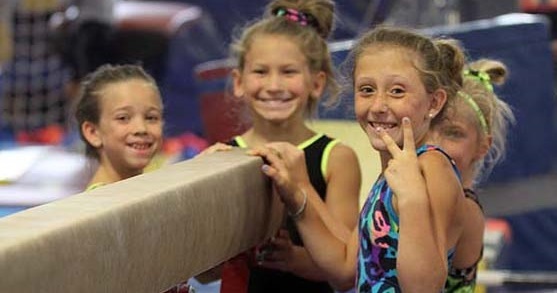 Buckeye Gymnastics teaches kids to get up and try again and helps develop the confidence that comes with achievement and success. Come join the thousands of other central Ohio children and families that make Buckeye Gymnastics a part of their active lives every week. Come try it out with your FREE trial class! Buckeye Gymnastics has been voted the Best Gymnastics School in central Ohio seven years in a row! 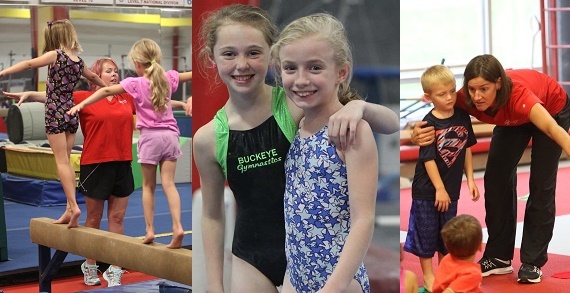 Buckeye Gymnastics offers the following outstanding classes for both boys and girls in both Westerville and Powell: Buckeye Warriors, Cheerleading, Tumbling & Trampoline, Birthday Parties, and Summer & Holiday Camps.